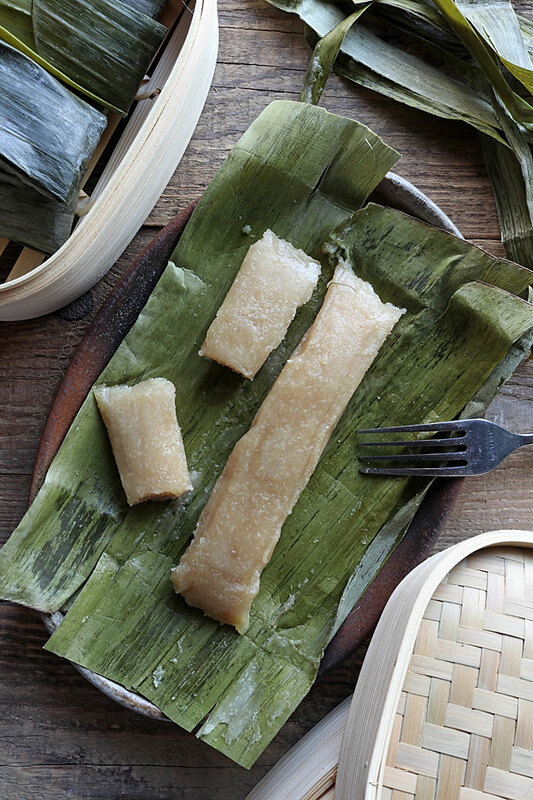 Cassava Suman is a Filipino delicacy of steaming a mixture of grated cassava, coconut milk, and sugar in banana leaves. Try this great Cassava recipe now! 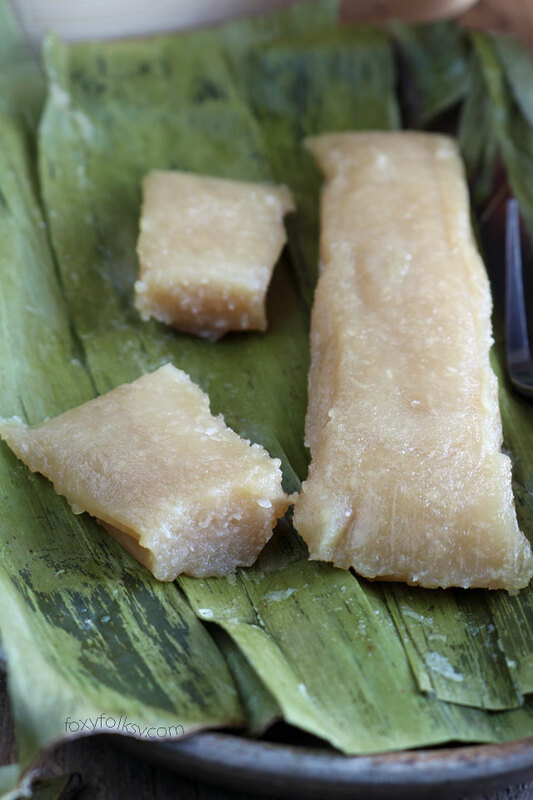 Cassava Suman is known by various names, depending on where you live in the Philippines. Tagalogs call it ‘Sumang Kamoteng Kahoy’. It is ‘Suman Balinghoy’ for those in Bicol or ‘Bud-bud Balanghoy’ in Visaya and ‘Kurukod’ in Samar. I am pretty sure there are other names for it, but they all pertain to this simple but delicious, sticky, sweet delicacy. Originally, it only has three basic ingredients but others like to add coconut meat to it to make it more special. I, however, use desiccated coconut instead of the fresh meat. First, it is easier to procure here in Germany, second, lesser work as you can skip the shredding or chopping of the coconut meat. Lastly, I like the texture of the suman after adding desiccated coconut into the mixture, it makes it firmer. By the way, for those who are not familiar what a coconut shredder or stripper is, it is a tool, usually made of wood with a thin tin tip formed into small circles to make strips of coconut. If you are looking for other cassava recipes, do try Pichi Pichi or Cassava Cake. 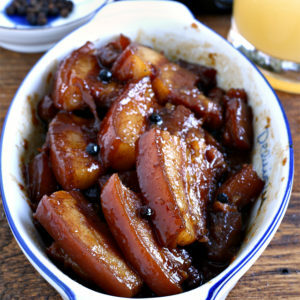 Or if you are interested in other suman recipes, then check out my post for Suman sa Lihiya. 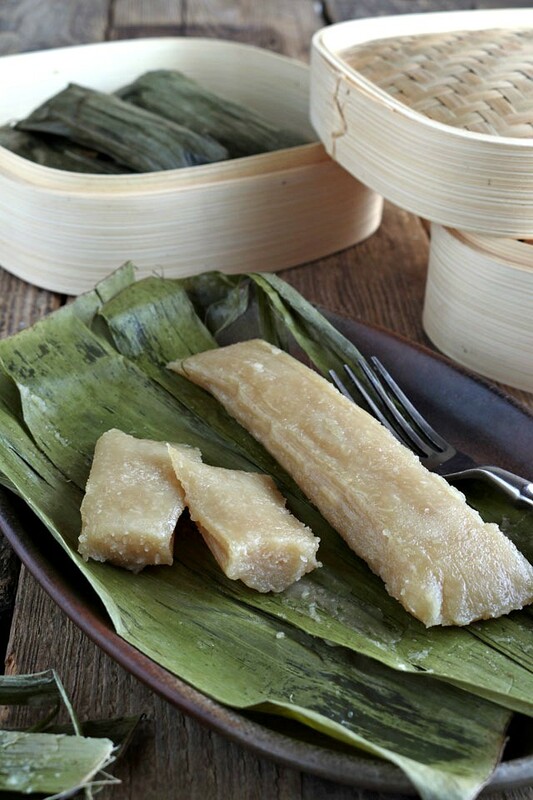 Cassava Suman is a Filipino delicacy of steaming a mixture of grated cassava, coconut milk, and sugar in banana leaves. Try this great Cassava recipe now! If using frozen grated cassava, thaw and drain excess liquids by using a sieve. If using young coconut meat, either grate/shred or chop the meat finely. Wash the banana leaves with water and pat dry. Heat each leaf by running it real quick on top of your stove with the heat/fire on. This will make the banana leaves more pliable. Scoop two spoonfuls of the mixture and place near the edge of a leaf then form into a log. Roll towards the other end to enclose the filling and then fold both sides towards the middle to fully seal the filling inside. 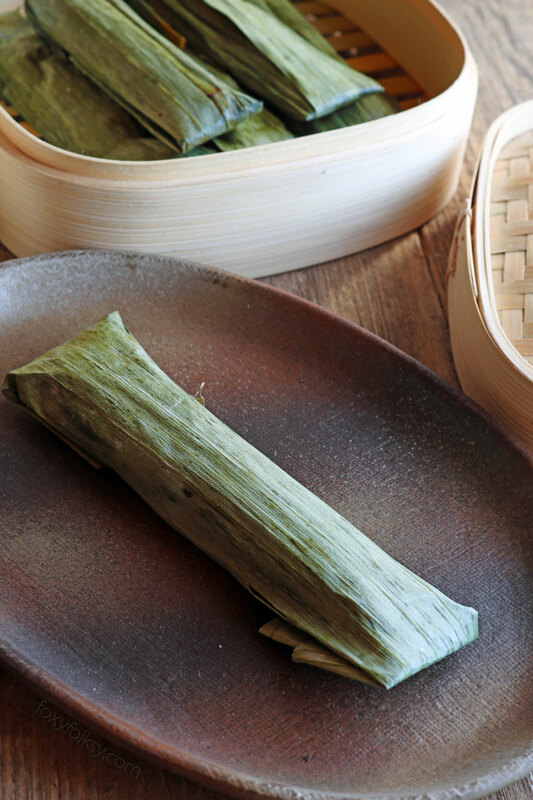 Arrange the rolled Cassava Suman in the top layer of a steamer with the folds facing down to prevent them from opening while steaming. Remove the cassava suman from the steamer and let it cool down. You may serve it just slightly warm or cold. Thanks, Bebs. I love your recipes. Hi Gemma, then this Easy Cassava Cake recipe is what you need! Ahhh! Surely, this is something I would enjoy. Thanks for sharing, Bebs! I have never heard of this delicacy before, so I must say I’m really curious to try it myself. Thank you for the recipe! 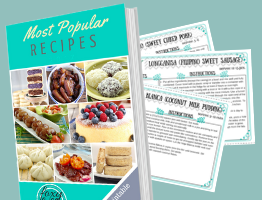 Love all the recipes! I was looking for an easy Ukoy recipe and who would have thought I’d come across your site, my dear elementary classmate. I love to cook and I’m so glad I found foxyfolksy.com and giving it my thumbs up and 5 star ⭐️ ⭐️ ⭐️ ⭐️ ⭐️ ratings. 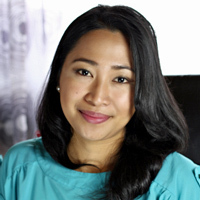 Thanks for sharing all your fabolous Filipino recipes.